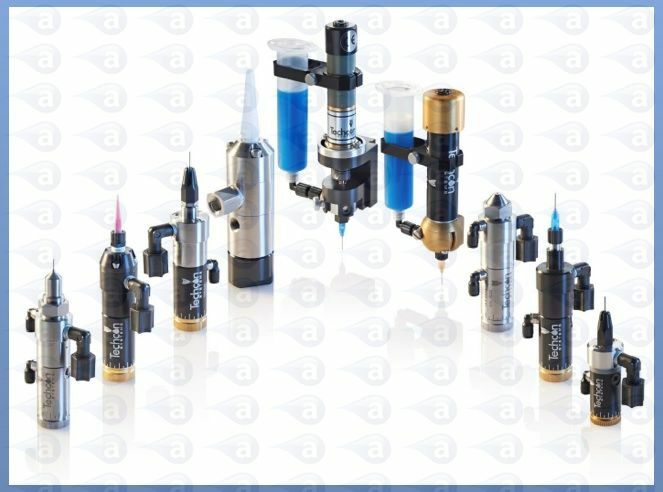 High speed dispensing valves for making rapid dots or controlled beads of adhesives, gels, inks, solvents, silicones, pastes and many other fluids. The valves are operated by timed digital controllers either by foot pedal or when linked with an I/O port to support application in an automated assembly line or on an XYZ robot. 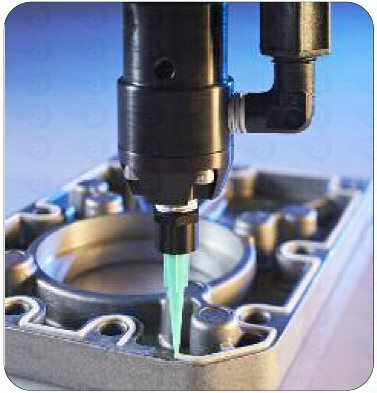 Precision valves dispense accurate deposits of adhesives, solvents, glues, silicones, sealants, pastes, gels, inks, paints, UV cure, lubricants and grease. Direct from syringes, cartridges or pressure pots. Valves will cycle from 500 to 600 times per minute for repeatable and fast bonding, sealing, coating and potting applications. Valves operate with minimal maintenance, ensuring clean and accurate dispensing whether used by hand, fixed on a production line or mounted to an XYZ robot. A typical system includes a dispensing valve, pressure pot or cartridge feed with a TS250, TS350 or TS500R digital controller. Click here for our valve guide. Achieve major time and material savings using timed dosing valves. By setting a repeat deposit of liquid; waste and material mess is reduced. 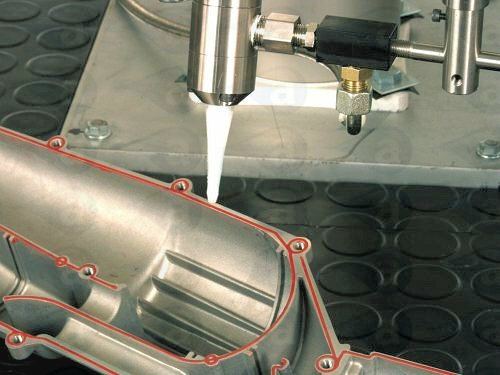 When compared to manual applicators, dispensing valve systems offer a cost effective solution for higher levels of accuracy. Typical Applications:- Deposits of cyanoacrylates, UV cure, threadlockers, glues, grease, silcone, RTV, sealant, mastic, gels, single part resins, medium to high viscosity pastes & many other materials.